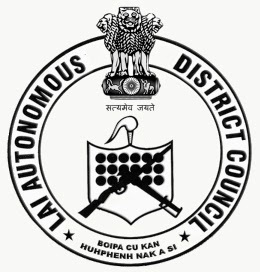 Aizawl, Aug 5 : The Aizawl Bench of the Gauhati High Court on Tuesday granted anticipatory bail to Chief Executive Member of Mizoram’s Lai Autonomous District Council, V Zirsanga and six others in a Rs 1.5 crores education funds scam. Justice L S Jamir granted anticipatory bail to the accused, which include the District Education Officer, a high school teacher attached as cashier to the DEO and two teachers who head the main teachers’ body there. They have been told not to leave Lawngtlai town (headquarters of the LADC) without prior permission, cooperate with investigators and not try to influence witnesses. The men had earlier been granted interim bail by the same court on July 23, a day after the Aizawl District Court rejected their anticipatory bail plea after the investigating officer, an Anti-Corruption Bureau Inspector, said the court prosecution witnesses were turning hostile or were less enthusiastic about giving testimony. The IO said he suspected it might be because the accused remained at large and lived in the same town as the accused. LADC CEM V Zirsanga and the others are accused of illegally amassing about Rs 1.5 crores from the education scam. According to the ACB, they did this by issuing fake pay certificates for 41 teachers, drawing salaries of some teachers more than once while apparently pocketing the salaries of several others. nice piece of work that shared here.